Hello I own a 2004 Sunline Solaris Model T-2199. It has 2 fully charged batteries attached to the front on it and with an on/off switch as well. For some reason the the battery power is not getting to the trailer at all. They are both fully charged and the switch is set to on but nothing in the camper works. We know that everything works when hooked up to electric so that is not the issue and we know the batteries are charged. One battery is even brand new, the other came with the trailer. the previous owners never used the battery so they were pretty clueless on what the issue could be. Does anyone have any idea on what the issue could be? The owners manual does not seem to tell us anything. 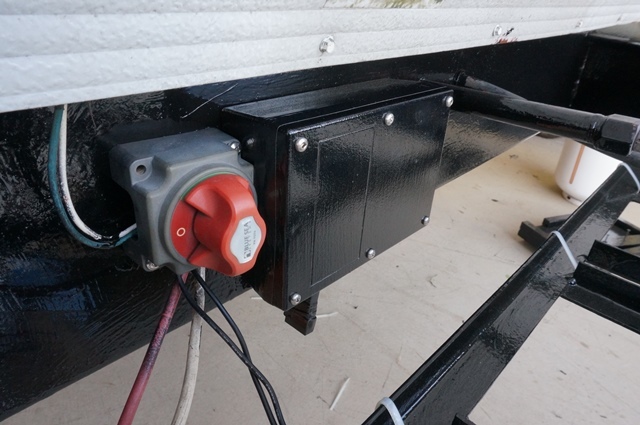 There is also a box on the outside of the camper that the battery is attached to as well. Not sure what to call it. If anyone can shed some light on this issue it would be much appreciated. Thank you in advance! also want to mention none of the breakers or fuses have tripped and are all good. 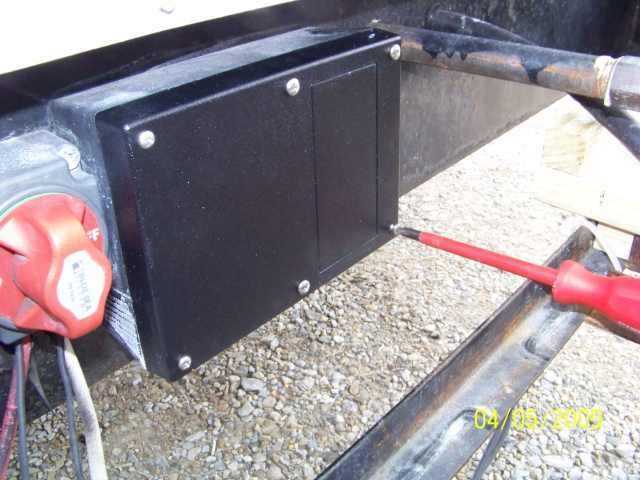 the batteries were charged through the 120V cord that connects to the trailer. 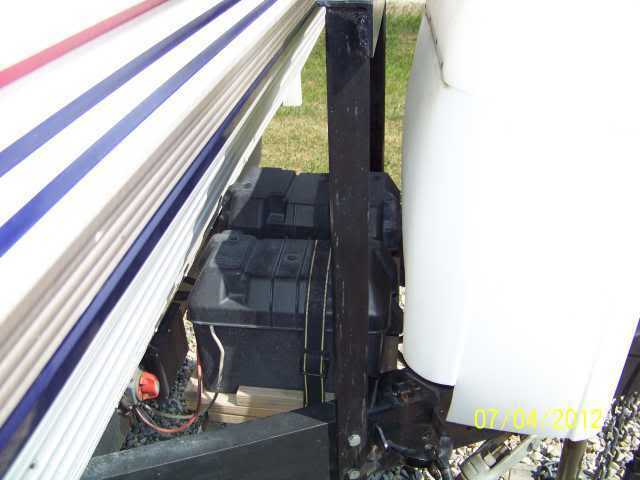 wondering how it is possible that the batteries were charged through the inverter by shore power but doesn't work coming off the batteries through the inverter to the inside camper appliances? any thoughts on that? 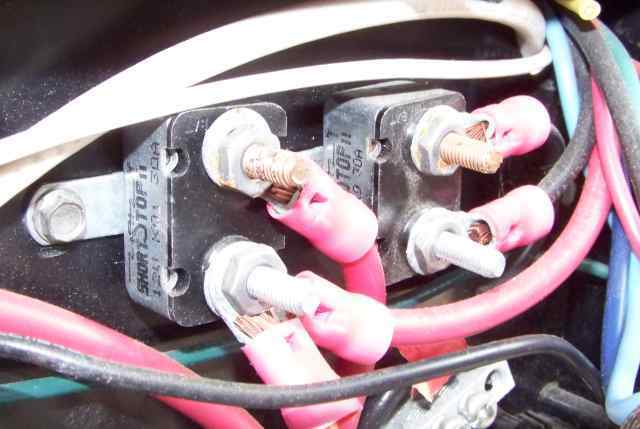 That junction box you see where the battery cables go has a couple fuses in it. 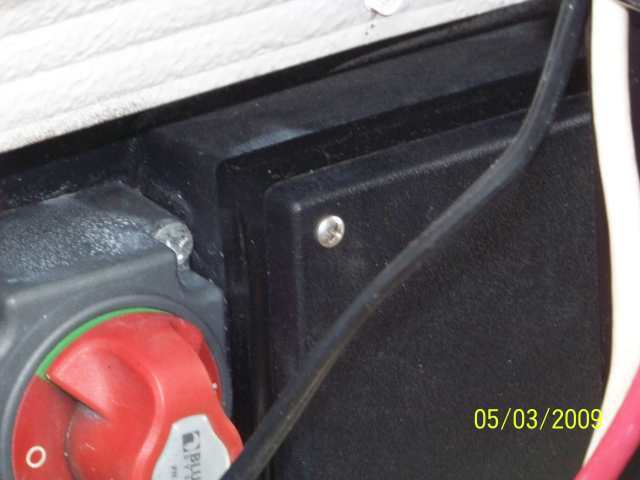 If the battery cutoff switch is turned to on (which is next to that box), then a fuse or two might be bad in the junction box. Remove the screws on the box and carefully pull the wires out. There should be some little fuse holders in there with push in fuses, both should be 30 amp. Hopefully that's the problem. If both are good, then we'll have to dig deeper. 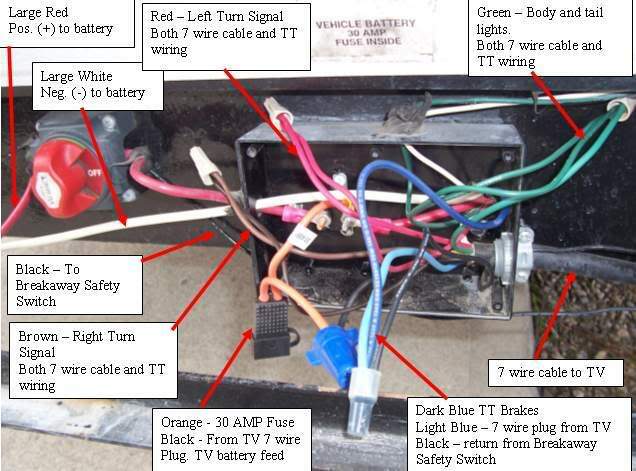 Looking at the electric Lee drawing, it appears that the only thing between the battery and the power control center inside the camper is the 30 amp fuse/fuses inside the box that the brake controller is connected to. Do you have a meter? You could check the continuity of the wiring. The batteries would also have to be connected in parallel so that they are only providing +12Vdc and not +24Vdc. hi thank you John for your reply. I will check on those items you mentioned and see what I find. This will also give me a good excuse to google and read about how the inverter switches over. Love to learn new things. Since you have a 2004 model, I happen to have pics of that vintage that may help. 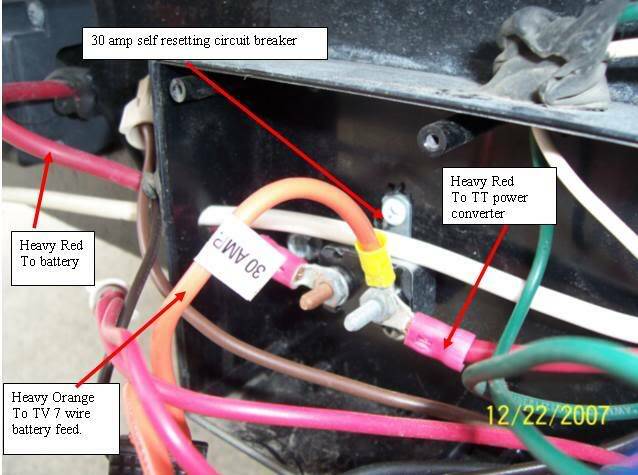 What you are describing sounds like the 30 amp "circuit breaker" that is mounted in black plastic junction box on the front frame of the camper is corroded and no longer working. This is not a fuse inside the converter inside the camper. The other folks were talking about the same 30 amp thing, but on the older campers they had a fuse to do this. And that fuse box was in many places on the older campers. 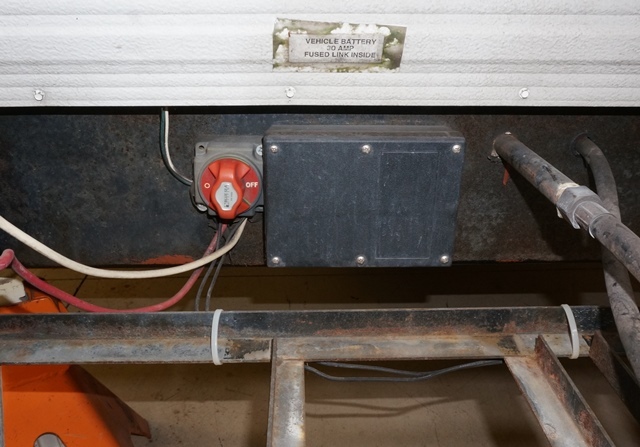 In 2004 model year I believe is when this box came and the auto reset circuit breakers along with the big red battery disconnect. Now to the hard part, getting in that box.... I have nick named the screws that hold that cover on as "evil screws"... They are tiny Philips screws buried about 1" inside the plastic box. They are set back from the front. Most times dirt fills the holes and you cannot tell what is in there. 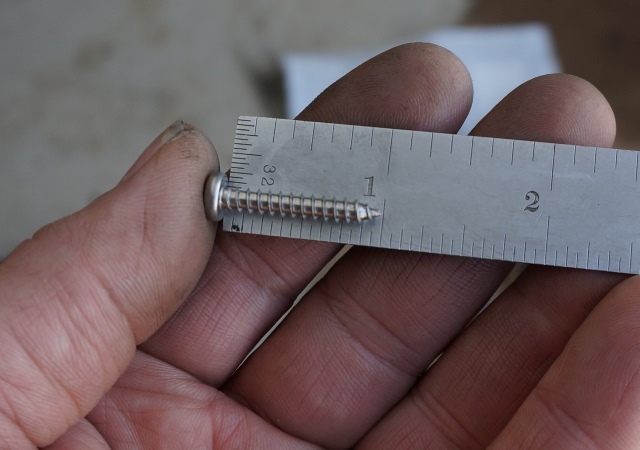 Get a small drill bit and by hand, twist it in to drill out the dirt. Do not use a drill motor, do it by hand. Eventually you will find the screw. Blow out what dirt you can and get a small Philips screw driver and a small hammer. We are talking tiny screw driver. Gently tap the screw driver when engaged in the star of the Phillips screw to deep seat the screw driver and force out the dirt. 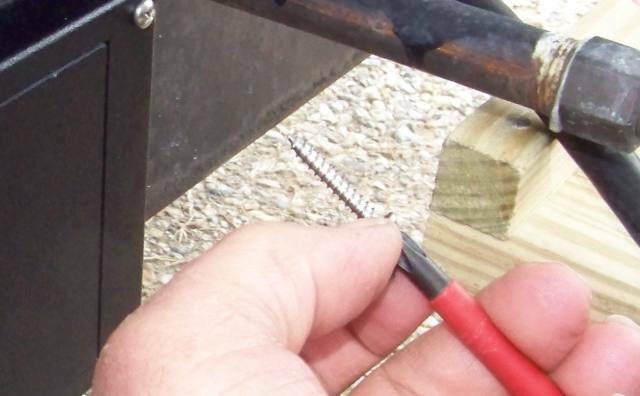 Then press in hard on the handle of the screw driver and try to get the screw out. You have to press in hard as you unscrew to not strip out the Phillips star point. And it fights you most all the way out. There are 6 of little buggers to get out. If luck is on your side, all 6 will come out and not break the box in the process. And if you do not break the box in the process... Then I suggest this upgrade when you go to put it back together. Also, using 3M 33 electrical tape, wrap around the cover split line to the back mounted box to seal out water in the future.